Ever notice that one week during July where it’s a bit harder (and more exciting) to maneuver the streets of downtown Eugene amidst all the extra foot traffic, street closures making way for creative floats, and eye-catching displays of artwork? All these symptoms can be attributed to one underlying cause: the Downtown Visual Arts Festival. 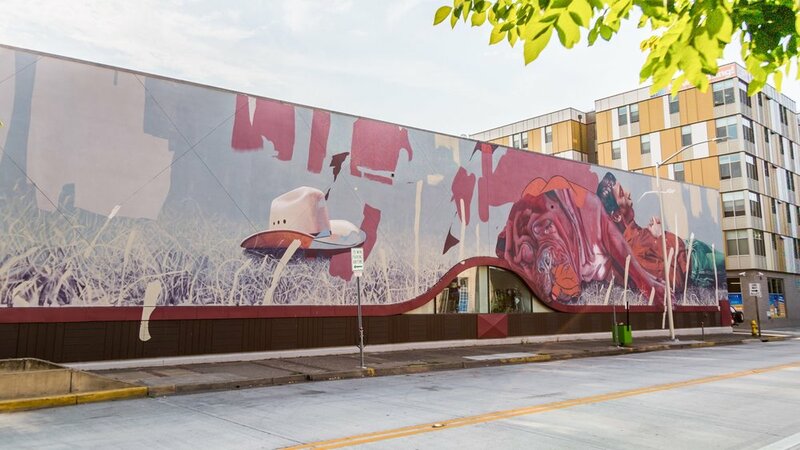 Every year, the City of Eugene facilitates the week-long event purposed to celebrate and breathe life into the local art scene. Imagination International had the privilege of both participating in and sponsoring a few events in particular, including 20X21EUG Presents Eugene Walls. 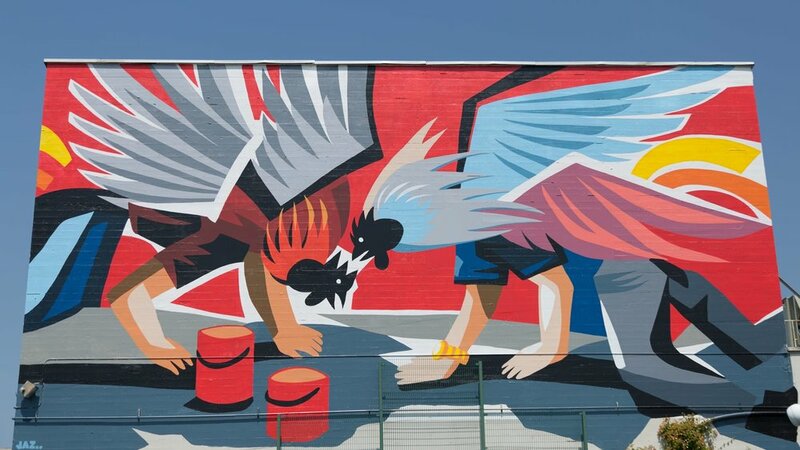 As part of the 20X21EUG Mural Project, the Eugene Walls event brought several international artists together to create 8 new murals on the walls of our city. 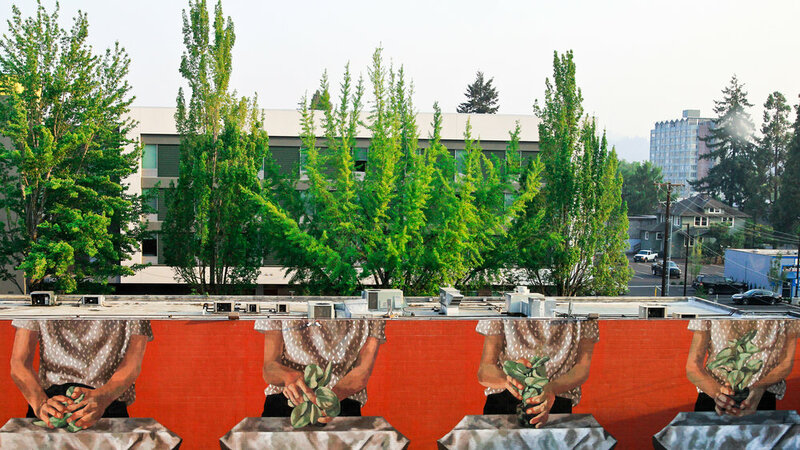 The project, spearheaded by the City of Eugene Cultural Service’s Public Art Program, began as a way to bring international flavor to our local arts scene. Specifically, the goal was to create 20 or more world-class outdoor murals in Eugene before we host the 2021 IAAF World Championships. If you’ve been following the 20X21EUG Project on social media, you likely have noticed the hashtag “Look up and see the world”. As Matt Small, a muralist from the UK, stated in an interview, “art is used to communicate how you see the world”. This project has created an opportunity to fuse the visions and experiences of international and local artists’ alike right here in our city. During the week-long event of Eugene Walls, patrons were invited to be spectators to the completion of the new murals. The 20X21EUG Project is now more than on track to complete 20 murals, as we have 2 summers left and already have 19 completed! 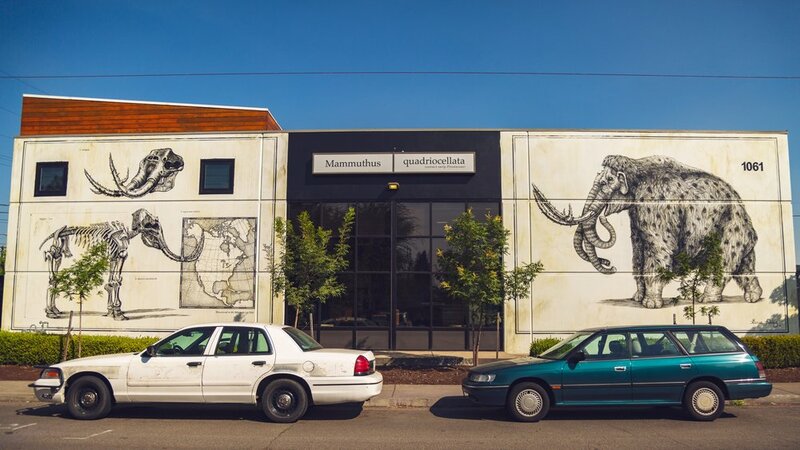 This year, the event featured the work of iii’s very own local muralist, Bayne Gardner, located at the corner of 13th and Willamette Street. We encourage you to “look up and see the world” and take a walking tour to visit these amazing pieces.